• Calm and relax the mind. Classes are tailored to meet both individual and needs and those of the group. Physical poses, breathing techniques and relaxation methods are adapted to make them accessible and enjoyable for all. Those challenged with mobility and can practice in a chair. 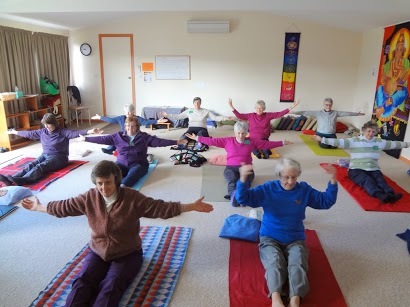 While the physical component of the class is gentle, the poses we use are still highly effective in limbering the joints, removing tension and loosening stiffness from the body. Breathing techniques are used to energise and balance the body, resulting in enhanced lung capacity and function. 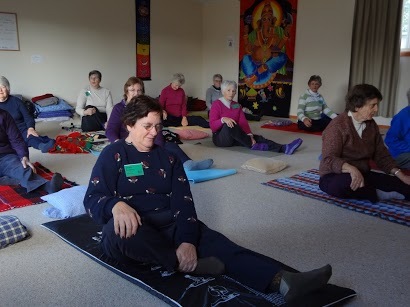 At the end of each class we practice Yoga Nidra, a deep relaxation which calms the whole body, inducing complete physical, mental and emotional relaxation. For more information on our current and upcoming 'Yoga for Seniors' classes please contact us.